A collection of highlighted images from the 10th anniversary celebration of the Winchester Area Temporary Thermal Shelter by Krista and Jerry Photography. 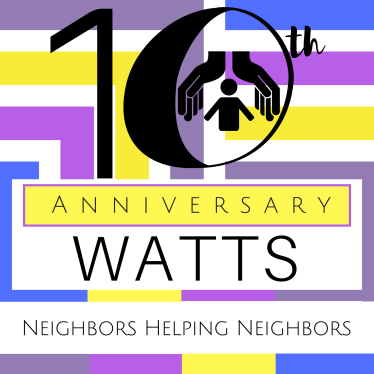 Hi, I am Marion Schottelkorb Executive Director of WATTS – So folks often ask me – “how did you get involved with WATTS?” The answer is easy – nine years ago I volunteered! Talk about an awakening!! I really didn’t have any particular perception about the homeless – truth be known I really didn’t think much about “them”. Then I met some of “them” and found people – people who for any number of reasons were without hope, without the basic security of a safe place to stay, who struggled with mental illnesses and/or addictions and couldn’t seem to find a way out – people with hearts and souls who had been rejected and sometimes just needed a warm smile, a simple touch or perhaps (heaven forbid) a hug. I knew that God had placed me in that position for a reason. So my involvement as a volunteer increased to being a co lead volunteer at my church, Bethel Lutheran, to Operations Manager of the shelter and for the last few years as Executive Director. I LOVE my job! I love the congregations and service organizations who provide the brick and mortar facilities required to house our guests. I love the amazing volunteers who are the very heart and soul of WATTS – without them there could be no WATTS. I love my managers and drivers, a group of dedicated individuals who, with care and empathy, ensure that safety and compliance to policies are maintained. Most of all I love our guests – people who appreciate the dignity, respect and grace filled welcoming and shelter of WATTS. So welcome to our new web page – please check out the opportunities to participate with gifts of time, talents or resources. I welcome your feedback, questions or comments – email [email protected] Blessings to ALL.